Sri Lanka Men's and Women's carrom teams will participate in the 6th International Carrom Federation (ICF) Cup Championship to be worked off in Kuala Lampur, Malaysia from November 9 to 13. 6 වන ලෝක කැරම් සම්මේලන කුසලාන තරඟාවලිය සඳහා සහභාගී වන ශ්‍රී ලංකා කණ්ඩායම අද (7) දිවයිනෙන් පිටත්වේ.. 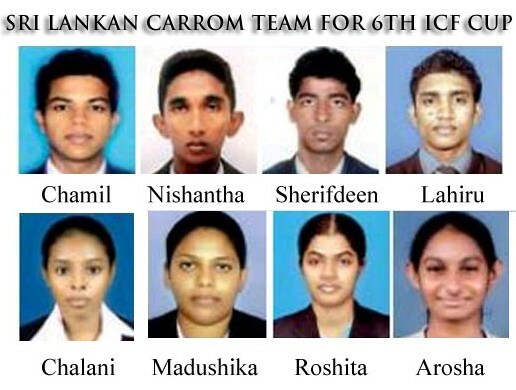 Wish you all the best .. make our mother Lanka proud! wish u all best OUR carrom team !!!!!!!!! !